Ø Slowly warm milk on stove in a thick-bottom pot until thermometer reads 90 degrees F.
Ø Sprinkle powdered mesophilic culture on top of the milk. Let dissolve for a few minutes, then gently stir into the milk thoroughly using the “top/bottom” stir method for 2 minutes with a whisk, without creating air bubbles. Ø Let ripen 45-60 minutes with the lid on the pot (in a warm water bath if you are working in a cool room). Ø Measure rennet into cool water and stir to blend. Start stirring milk and pour the diluted rennet into the milk. Stir for only 30 seconds using the “top/bottom” stir method. Slow down milk to a stop over the next 15 seconds. Maintain temperature at 86-88 degrees during renneting. The milk should set in 30-45 minutes. Ø Test the curd for a clean break, and then proceed to cut the curd into ½ inch cubes. Let rest for 5-10 minutes as whey is initially expelled. Ø Stir frequently during the entire cooking process to avoid matting of the curds. Do not break the curd, but divide large curds with a sharp-edged knife. Ø Once the curds have reduced in size to the equivalent of half a peanut (final size), use your hand or spoon to gently stir/float the curd throughout the rest of the cooking process. Once the final cooking temperature has been achieved, hold the curds at this temperature for another 15 minutes or until the curds are sufficiently squeaky and firm. This process of reducing the curds may take an hour or more. To test the curd for firmness, squeeze a small handful gently, then release it quickly. If it breaks apart and but shows a little tendency to stick together, it is ready. The curds should look somewhat shriveled/firm/matte, they should not be overly marshmallow-fluffy or glossy. The curd should reach this stage 1 ½ to 2 hours after you added the rennet to the milk. Be patient – proper curds are the key to good cheese! Ø Allow the curds to settle to the bottom of the pot and drain the majority of the whey off. Now is the time to add herbs to the curd, if wanted (you can also add herbs at the dry-salting after pressing, if you want the flavor but not the actual pieces of herb). Ø Gently scoop up (or pour) the curds into a cheesecloth-lined mold. Pack as full as possible, fold up the cloth (like you are wrapping a present, you want it smooth to avoid making indents into the cheese), and press with light weight (10-15 lb.) for 30 minutes. 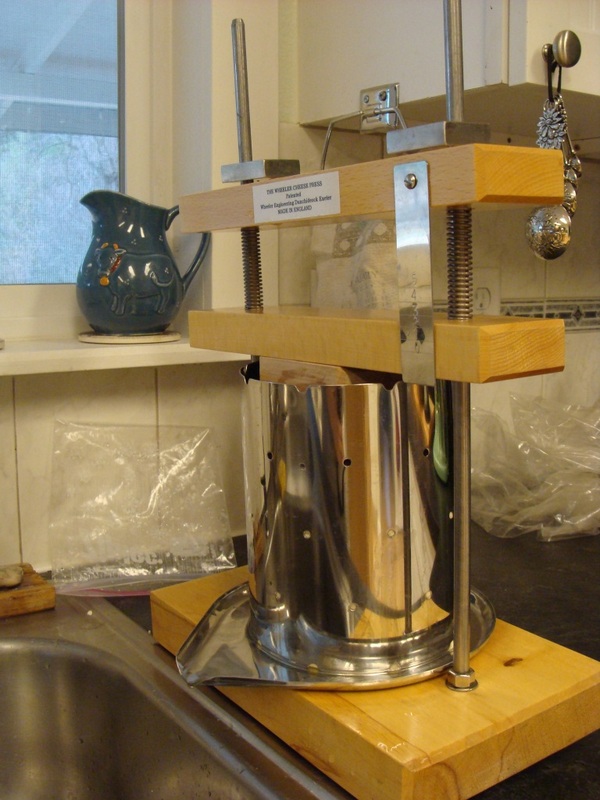 Ø Flip the cheese and apply 10-15 pounds of pressure for another 30 minutes (to allow for even curd pressing). Flip the cheese once or twice more and press over a 4 to 5 hour period at twice the amount of pressure (30 lb.). 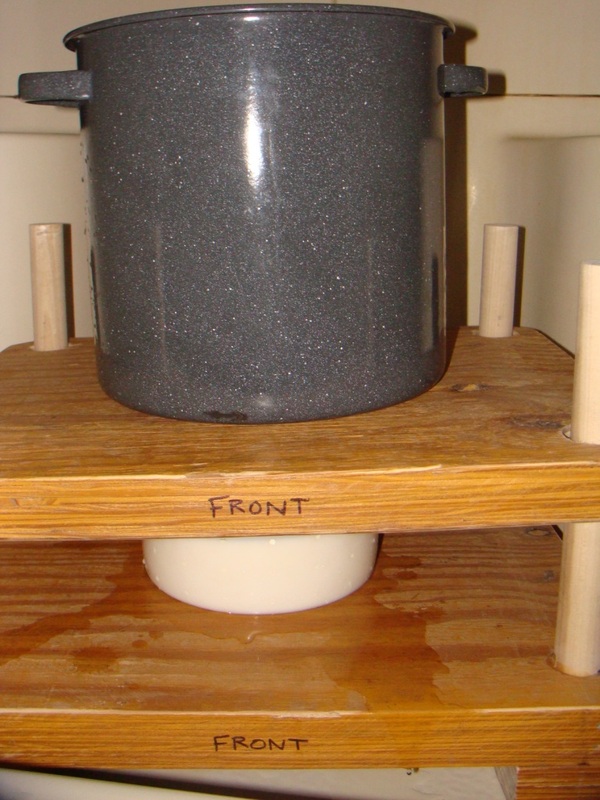 Press as long as needed to fully knit curds (smooth wheel). 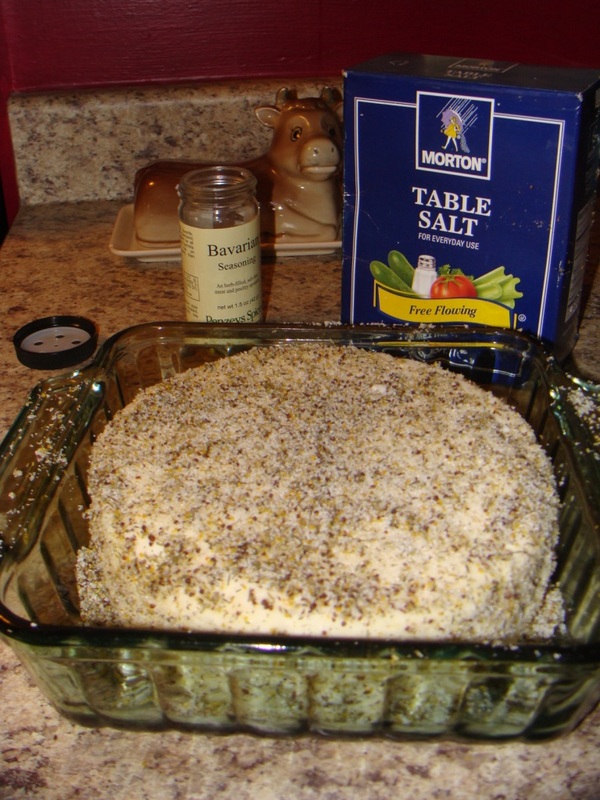 Ø Take the finished cheese out of mold & cheesecloth, roll in salt (sprinkle/rub on the salt or put it in a casserole dish and roll the cheese around in it). Optional: add herbs to salt. Thickly coat so the cheese is entirely covered. Set it on a piece of mesh to drain (like bamboo or reed grass, allows some air flow). Flip a few times over the next 24 hours. Keep covered with salt, reapply some each time you flip. Ø Wash off the salt quickly, just to get most of the salt off. Rinse the reed mat or use a new dry one. Set the cheese out to air dry & flip as needed to dry evenly. This can take a few hours to a few days. The finished cheese should be dry to the touch. Ø AGING OPTIONS: For each option: Age (sealed) in refrigerator as long as desired. EAT FRESH: If using raw milk, the natural enzymes will give excellent flavor even to fresh cheese! This method is recommended for beginner cheesemakers. WAX: Warm beeswax. Dip one half of the cheese wheel in wax, flip up, then grab the waxed side and dip the other half in the wax. Let cool. Next warm cheese wax & dip following the same process (cheese wax holds up without cracking in the cold fridge). Waxing should take place approximately one week from the beginning of the cheese making process. 4-6 months is a good time to test the cheese. PLASTIC: Place dry cheese in a bag and vacuum seal, ensuring no whey gets sucked into seal. WRAP: (A better option for firm cheeses only) Soak butter muslin in warm lard, wring out excess. Wrap cheese in cloth and place wheel in cheese press. Press on high pressure overnight. Age at 55 degrees F as desired. 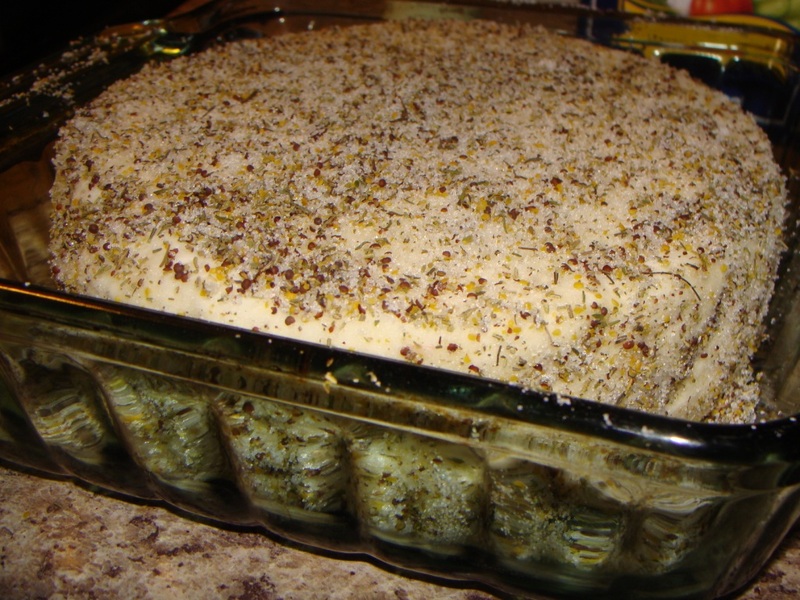 Mold will grow on the outside but should not penetrate into cheese. Awesome, thanks! I’m going to make one tomorrow. We get our cultures from the same place, and I have the MA11. I imagine we probably have the same rennet too if that’s where you get yours. By the way, this is Mewz from the Family Cow chat board. I love your blog! Cool! Good luck and hope it turns out well for you. 🙂 Thanks. After waxing, you will want to try to keep it in a relatively cool place. The reason why I prefer waxing is because if you wax and make sure to cover any/all holes, the cheese is very stable. That means, you could put it in a fridge to age and it won’t dry out like a natural rind cheese would. You can also put it in warmer temperatures, like if you have a cellar that is in the 50’s. Ideally, you should try to keep it between 42-55 if you can find somewhere with fairly stable temperatures. Also check and if you ever see mold under the wax, it’s been exposed and could be ruined. If you see no mold, then it can continue to age indefinitely. I had some refrigerated for about 8 months and it was great. You can go longer for more aging, but it’s hard to not eat it!! 🙂 Good luck. As far as sitting for an amount of time, that can vary. If you’re going to eat the cheese within 2 weeks or so, don’t bother even waxing it. If you want to be careful from a safety perspective, the government requires raw milk cheeses for sale to be aged 60 days, as any contaminated cheese should show signs of going bad between 30-60 days. Any aging beyond 60 days is for flavor development and should only be done if you know you were very sanitary while making the cheese, otherwise the cheese could go bitter if some less desireable bacteria have been introduced. could I bring the raw milk up to temp and then start this process? Yes, absolutely. Just try to make sure it is fairly fresh, as the fresher and cleaner the milk, the better your end product will be. Good luck!